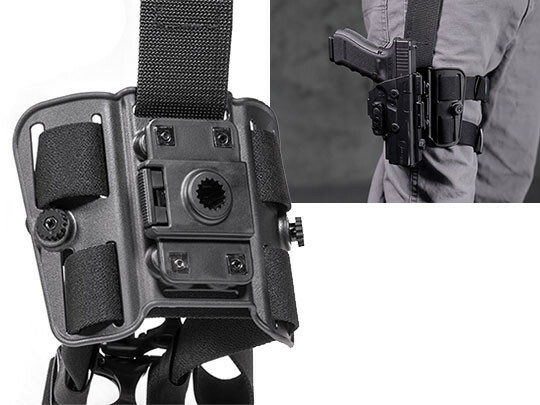 Alien Gear Holsters is proud to present the ShapeShift Drop Leg Carry Expansion Pack. The ShapeShift Core Carry Pack, Cloak Mod OWB Holster, and both Double and Single Cloak Mag Carriers are all compatible with the ShapeShift Drop Leg Carry Expansion Pack. For those that own a ShapeShift Core Carry Pack, enjoy cross-compatibility with the simple push of a button between ShapeShift OWB Paddle Holster, the ShapeShift Drop Leg Carry Expansion Pack and the ShapeShift Holster Mount. Those who have purchased a Shift Shell Kit can also get in on the action. This tactical carry position holds your firearm directly where you hand naturally rests, allowing an exceptionally fast draw. 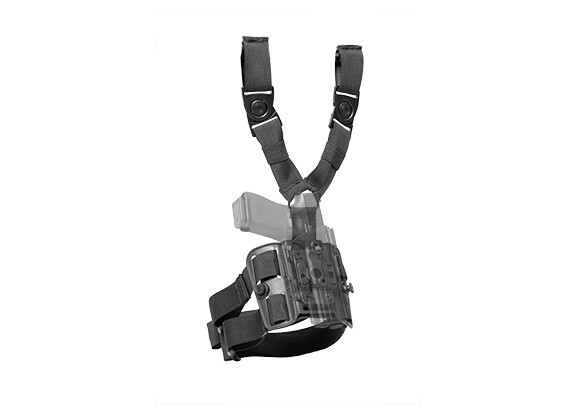 Whether you are hunting, hiking, or shooting at the range, the Drop Leg is a perfect option for any carrier. Looking to carry a few spare rounds? Carry two magazines on either side of your drop leg, with the addition of any compatible holster. For those that need even more options, a Drop Leg can be carried on both legs. This Alien Gear Holsters product is designed to last a lifetime. The ShapeShift Drop Leg Carry Expansion Pack is designed with a resilient, flexible polymer that comfortably curves with your leg. 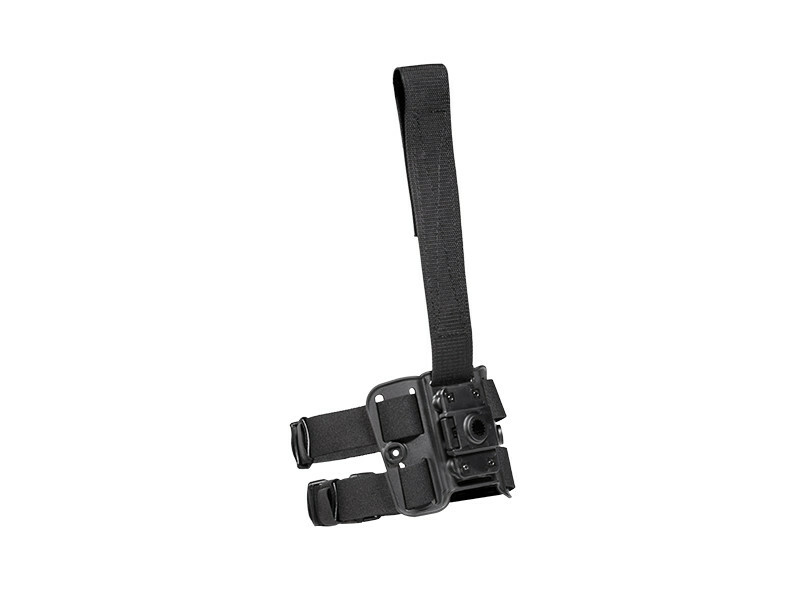 Heavy-duty nylon cam webbing drops from your belt to your thigh and is highly adjustable for a perfect fit. 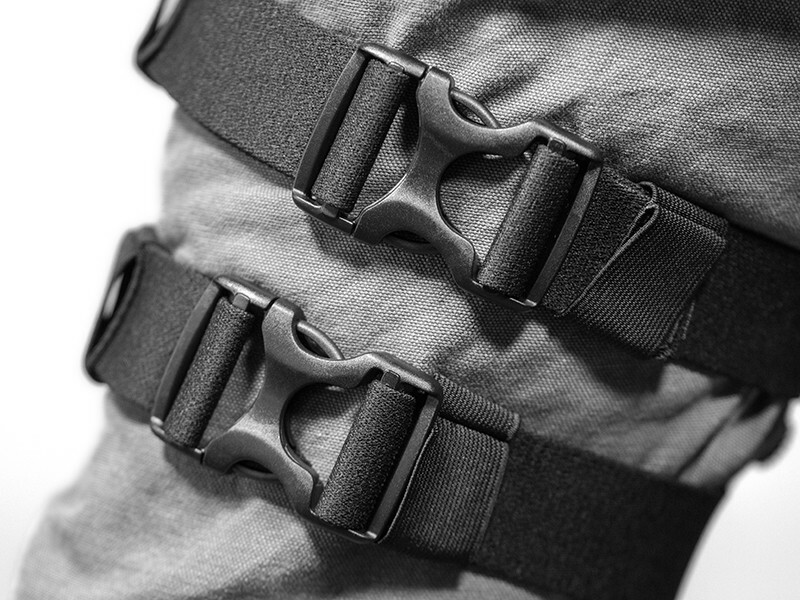 No matter how heavy your firearm or magazine, the ShapeShift Drop Leg’s straps are designed to support the full weight of your equipment. The ShapeShift Drop Leg Carry Expansion Pack is backed with a Forever Warranty and a 30-Day Test Drive. If you’re not satisfied with your purchase, send it back for a hassle-free refund. Alien Gear Holsters proudly makes every holster in America. Step up your game now with the ShapeShift Drop Leg Carry Expansion Pack! I use holsters for work (armed security and EP) as well as CCW holder everyday. I have, like many of you a drawer full of holsters that accompany a safe full of firearms.